Cruickshank, Justin. “Neoliberalism, the ‘Scientific Enterprise’ and the ‘Business of People’: Comments on the Sociology and Politics of Knowledge Production.” Social Epistemology Review and Reply Collective 4, no. 8 (2015): 53-65. Given the rich and extensive history of this exchange related articles, replies and responses are provided below the references section. In his latest reply (2015a), and in his recent ‘Compromising the Ideals of Science’ (2015b), Raphael Sassower draws together concerns with the natural sciences and political economy. For Sassower (2015a, 2015b) the conception of the natural sciences has changed over time as cultural assumptions, influenced in part by the sociological ‘demystification’ of science, have changed alongside developments in the political economy of science, with much research now being funded by non-scientific bodies (the state and corporations), who seek to regulate or manipulate the outcomes of research. Sassower demarcates three conceptions that he terms ‘science’, the ‘scientific community’ and the ‘scientific enterprise’. Drawing on Shapin (1994), Sassower argues that ‘science’ in seventeenth and eighteenth century England was based on trust generated by ‘gentlemanly’ virtues, with ‘truth telling’ being a matter of honour (2015b, 3-5). Obviously it is acknowledged that continental thinkers created the conditions for the community of ‘gentlemen scientists’. Here the source of knowledge is important with the class position and Christianity of the scientist being taken to bestow virtue and therefore instil trust. Drawing on Merton (1973), Sassower then discusses the twentieth century ‘community of scientists’, where the emphasis switches from individuals (or the social location of individuals) to the institutional setting and its norms that regulate science. Here organised scepticism replaces truth based on the authority of the individual (2015b, 6-12). Both these approaches have an ‘idealised’ conception of science where pursuit of the truth is seen as good as an end in itself, by individuals or institutions. Matters change with the rise of the ‘scientific enterprise’. Contrary to the idealised conception, corruption and dishonesty have always been a potential problem as Charles Babbage pointed out in the nineteenth century (Sassower 2015b, 18-21). Now the problem is more acute because the concern is not just about individuals failing to live up to expected high standards of honesty and rigour, but on institutional pressure exerted by the state and corporations. The state funds ‘big science’ as a means to enhance ‘national security’ and engages in extensive health regulation which impacts upon the nature of scientific research, whilst corporations extensively fund research, with ‘big pharma’ being a prime example. Sassower argues that it is legitimate for states to fund military research for self defence and notes that there is a problem with health regulation. Giving example of the food industry, Sassower (2015b, 64) argues that there is a ‘revolving door’ with scientists moving from the private sector to the Federal US bodies meant to regulate the industry. As regards corporate funding, Sassower (2015b) notes how the tobacco industry used research to undermine warnings about harm, and how pharmaceutical corporations exert influence over journals publishing peer reviewed papers on their products, with the products manufactured being chosen for profit maximisation rather than long term health benefits. Running parallel to these issues concerning funding and regulation, sociologists of science have demystified science by showing how individual scientists are not disembodied—ideal pursuers of truth, but social agents shaped by social / political institutional pressures, concerning expectations, the desire of theories to work to protect careers and funding (Sassower (2015a). Science has now moved into ‘technoscience’ due to the influence of ‘big government’ and corporate funding, with science becoming inseparable from its technological applications (Sassower 2015b). This means that an idealised concept of a ‘pure’ science as the disembodied and disinterested pursuit of knowledge may not be possible to recover. This is not a problem though for two reasons. First, such idealised notions not only fail to meet the reality but encourage an overly negative reaction when the reality is exposed. There is the danger, that is, of an anti-scientific scepticism developing when ‘faith’ is lost. Second, Sassower (2015b, 51) argues that technological changes may undermine neoliberal capitalism, with the creation of free software undermining corporations and creating a new ethos. Politics is important not just because the state funds ‘big science’ but because a shift from neoliberalism to a more democratic approach to political economy can be beneficial to society and science. Drawing on Cassidy (2009), Sassower (2015a, 42-43) argues that the laissez-faire approach of neo-classical economics is not a science but a ‘faith’ based on an idealised form of market exchange, presented in mathematical models detached from reality. This approach creates significant harm by reducing political and social problems to economic problems and viewing those problems are defined and solved in ways that are dehumanising because they regard humans as mere things. Public problems concerning, for example, structural unemployment, become ‘privatised’, and misdefined as problems of individuals’ failing to adapt their behaviour to market conditions, to meet new labour supply requirements. What is needed is an exposé of the presuppositions that frame dialogue over political economy in the hope of then changing the ‘frames of reference’ and their ‘culturally embedded concepts’ (such as markets being seen as natural and not created by politics). In other words, neoliberalism has now for many become ‘common sense’ and its frames of reference need to be exposed as historically—intellectually contingent, rather than as necessitated by ‘human nature’ or ‘common sense’, and then rejected for being harmful. This process would replace neo-classical economics and the hegemony of neoliberalism with a richer appreciation of political economy in the realisation of a more democratic capitalist or post-capitalist world. A change in political economy would also assist the development of science, because it would undermine the power of corporations to exert undue influence over technoscience. A new political economy which, for example, allowed the creation of a commons of knowledge and services to replace corporate closure based on privately funded research being legally protected as ‘intellectual capital’, would be more beneficial to society than knowledge being manufactured and retained as a means to corporate profit making. Technoscience could, in a different political economy, be a public good and not a private means for profiteering. Sassower (2015a) describes his approach as one of postmodern pluralism because it seeks to recuperate aspects from the past of political economy and science to assist their reframing, basing the reframing project on ideas that work, rather than their linage. Here a ‘faith’ in ‘pure markets’ and a ‘faith’ in ‘pure science’ have to be abandoned for an emphasis on science developing in relation to more democratic pressures. So, the task that Sassower sets himself is the dialogic engagement with different traditions of thought in the attempt to reconceptualise science and political economy. A non-idealised technoscience is sought for a more democratic society, with this technoscience being free from overly powerful interests and a naïve idealising ‘faith’, and able to enhance people’s wellbeing. Two problems are addressed below. The first concerns the way dialogue may engage with ‘frames of reference’, that is, definitions of problems, and the traditions they are located within. The second concerns the contemporary university as a site of knowledge production and how problems here may restrict the rise of a democratic approach to knowledge production. The neoliberal university in the UK is now in a situation similar to that of the ‘scientific enterprise’. The state is attempting to foster research that makes individuals adapt their behaviour to market conditions, and furnish ‘suboptimal’ conditions for research that seeks to criticise the way neoliberalism distorts behaviour and harms people. A key social science body is supporting this, with its plan called ‘The Business of People’. Academics need to change the neoliberal definitions of problems (or ‘frames of reference’), but this will be challenging, not least because of the non-ideal political economic situation of UK universities as neoliberal sites of knowledge production. We can start by considering Popper’s arguments on optimism and pessimism because this dialogue in SERRC started originally in relation to Popper’s philosophy and because it can be used to situate the position Sassower wants to adopt. Popper (1963) argued that optimistic epistemologies ended in pessimism because the ideals could never be met. So, dualist epistemologies relocated the source of knowledge from the Catholic Church to the ‘authority of the senses’ with Bacon’s empiricism and the ‘authority of the intellect’ with Cartesian rationalism. In doing this they sought to be optimistic because now individuals were seen to be able to recognise a ‘manifest truth’ thanks to individuals possessing a God-given source of knowledge. As long as individuals paid heed to this God-given source, rational agreement would be arrived at. However, as ignorance and error remained, the conclusion could be drawn that individuals sinfully ignored their inner God-given source of knowledge and so an ethical-epistemic elite would be required to impose the truth. In contrast to this, Popper held that we should turn a vice into a virtue, by recognising that ignorance and error are a normal condition, given that knowledge is fallible. Therefore, rather than seek certain verities, critical dialogue needed to find problems with existing solutions in the search for more interesting and useful problems. This approach is as much ethical as epistemic, because Popper regarded dogmatism as a cowardly and irrational vice, and the open minded pursuit of new ideas, which could entail rejecting one’s most cherished ideas, as a virtue. Epistemic progress stemmed from ethical progress based on the desire of individuals to improve themselves by finding better ideas. The weak point of Popper’s argument was his rejection of the meaningfulness of definitions (Popper 1963, 2002a, 2002b). For Popper, there were two related problems with seeking definitions. The first was that seeking linguistic precision in the attempt to solve a problem was pointless because the outcome would be mere verbiage or dogmatic self-referentiality (Popper 1963). Second, if definitions were deployed to drive explanations in the social sciences, the outcome would be ‘methodological essentialism’. Here speculation about human nature or structures would generate a definition of the putative essential property that determined behaviour, and then all observed events would be read dogmatically as epiphenomena of the essential property, that is, all events would be read dogmatically as verifications of the definition’s veracity (Popper 2002(a), 2002(b)). This would be elitist because ‘experts’ could claim to know the essential property that controlled all human behaviour and the right to impose policies based on this ‘expert’ knowledge on others. For this reason, and for the harm it causes with inequality, Popper would be keenly opposed to neoliberalism and its ‘faith’ in ‘free’ / ‘deregulated’ markets allowing a competitive, self-interested ‘human nature’ to flourish. In contrast to methodological essentialism, Popper argued for methodological nominalism, whereby the meanings of terms changed in the course of problem-solving. The problem here is that whilst Popper is correct to be alert to these problems with definitional issues, it is the case that definitions are of key importance, for how problems are defined shapes how they are to be solved. Popper accepted that our knowledge of reality was mediated by theories such that even refutations of a theory were dependent on theoretical mediation. Given this, problems are not technocratic matters, where theories could be contrasted to problems that were immediately manifest. Rather, problems would be constructed from within theories and so it becomes important to see how problems are defined, because this shows us how problems are shaped by the mediating theory (or ideology) and how that definition shapes the resulting attempts at solving the problem. To know a definition of a problem is to know how a theory or ideology wants us to see the world. For example, defining unemployment as a consequence of fecklessness with the solution being reduced welfare stems from a very different way of seeing the world than a definition of unemployment in terms of deindustrial structural decline with the solution being the creation of policies to simulate new growth. If the definition of problems is left unexamined it is easy for problems to be perceived in a technocratic way which is pseudo-objectivist. This would occlude the theory or ideology that led to a particular definition of a problem and its concomitant means for solution. So, for example, if economic matters were seen in a technocratic way, concerning for instance policies for growth measured against GDP, the shift from a social democratic Keynesian demand management political economy to a neoliberal supply side political economy could be occluded. Similarly, Becker (1967) argues that whilst sociological positions that are seen as partisan may be attacked, especially under conditions of ‘professionalised social science’, biased positions in favour of the elites that fail to challenge the status quo may be seen as ‘objective’ in their definition of problems and the solutions proffered. Here such pseudo- ‘objectivity’ would be seen as the legitimate and useful output of a professionalised sociology, by elites and some professional social scientists. Problems from the perspective of the elites would be objective problems to be technologically solved whereas problems of the oppressed would be pseudo-problems stemming from bias. Objectivity would be putatively neutral and neutrality would not question or redefine the status quo. Holding that a problem is not immediately manifest though allows us to step back and ask how it is defined, which means enquiring into the ideology behind it and the interests that ideology serves. In terms of science, we can turn to Harding. Harding (1992a, 1992b) argues for science to be objective, but holds that defining objectivity in terms of value neutrality misdefines the problem, because scientific knowledge – like all knowledge – will be influenced by social location. For Harding, defining objectivity as value neutrality misdefines knowledge and serves to occlude the gendered (and raced and classed) influences on knowledge. Therefore, a better approach to the problem of understanding science is to define science in terms of an objectivity which is recognised as being mediated by social factors such as gender. This approach requires two revisions to Popper: not only would definitions be of importance but the source of knowledge would be important too in terms of explaining how problems were mediated and constructed, and in whose interests their solutions operated. This is not to move from seeing sources of knowledge underwriting the veracity of knowledge claims, to the hermeneutics of suspicion, which sees the social source of a knowledge claim, in ideology or discourse, as a reason to practice a global scepticism, rejecting all claims as symptoms of power. Rather, it recognises that dialogic engagement has to deal with the theories and ideologies that definitions of problems stem from. It also means recognising that the social location of epistemic agents too will play a role. Fallible knowledge is mediated by theories, ideologies and social location. When it comes to the study of science, three broad positions are discernible. Positivists defend the notion of objectivity that Harding rejects; post-positivists like Harding and the Edinburgh School (Bloor 1991) recognise that objectivity is mediated by social factors; and anti-positivist, hermeneutics of suspicion, positions conflate science and positivism, rejecting both by engaging in a post-structuralist critique that holds that all putative knowledge is a symptom of the power-knowledge nexus of ‘discourse’. Whereas positivism may be an optimistic position and post-positivism a development in the spirit of problem-solving, even if it diverges from Popper’s rejection of any emphasis being given to sources, post-structuralist denials may be seen as pessimistic. Pessimism does not necessarily redefine the core problem though. For as Rorty (1998) argues, despite the rejection of objectivity, many post-structuralist positions become a form of pseudo-clerical objectivism, with an elite assuming possession of knowledge of the moving force, namely discourse, that shapes all agents. An empiricist immediacy has been replaced by what is, in Popperian terms, an essentialism, with all empirical events being seen as epiphenomenal manifestations of discourse—the underlying moving force would, in effect, be immediately apparent to those who were equipped to see it. Verifications may be ‘seen everywhere’ once one’s eyes were opened as Popper may say. Given this, one may argue that some of the social approaches to knowledge did no such much help facilitate a shift from an idealised / optimistic version of science to a pessimistic version of science, whereby science was either rejected (by post-structuralists) or seen as ‘fallen’ idol fit for corruption by market forces. Rather, they offered a way out of that binary opposition to see science as a fallible problem-solving process where one had to be alert to the social and political pressures influencing scientists, with these stemming from their social location, because such pressures would shape how problems were defined. This approach can still conform to the ethical conception of dialogue that Popper held to but it would have to be recognised that using critical dialogue to change the definition of problems would mean engaging in a slow and difficult process because problems stem from traditions, that is theories or ideologies, with traction, especially if they serve the interests of the elite. The problem of traction becomes even more intense if such definitions are seen as neutral, technocratic matters, with it not being recognised that the problem is actually a definition mediated by a theory or ideology that serves the elites. Once a problem is seen as a definition open to challenge the challenge may be accepted by defenders of the opposing position but presenting a problem as a technocratic and immediately manifest problem not open to definitional dispute is to seek to close off dialogue and change. If theories and ideologies have traction then the best chance of changing them and their definition of problems is through a research programme that engages many agents. Here we may consider academic agents and influences upon them. In addition to the social influences concerning the background of the agent, there is also the political economic institutional influence of the university as a site of neoliberal knowledge production to consider. In theory, universities encourage equality of opportunity. However, people’s social location, in terms of their class, gender or ethnicity does shape the experience they face and therefore will play a role in mediating their knowledge and agency. Epistemic matters are socially as well as theoretically mediated. On matters of institutionalised inequality, a recent report into the discipline of history, in UK universities, concluded that there remained a mix of overt and covert sexism in recruitment and promotion of female academics. Moreover, a ‘glass ceiling’ still exists across disciplines for female academics with a 2013 study showing that only 20% of the UK professoriate are female. As Bhambra (2015) argues, the opening up of universities from the 1960s on helped lead to a proliferation of critical perspectives, such as queer theory, critical race theory and post-colonialism, but recent attempts to privatise UK universities will undermine this diversity of origin and thus diversity of thought. 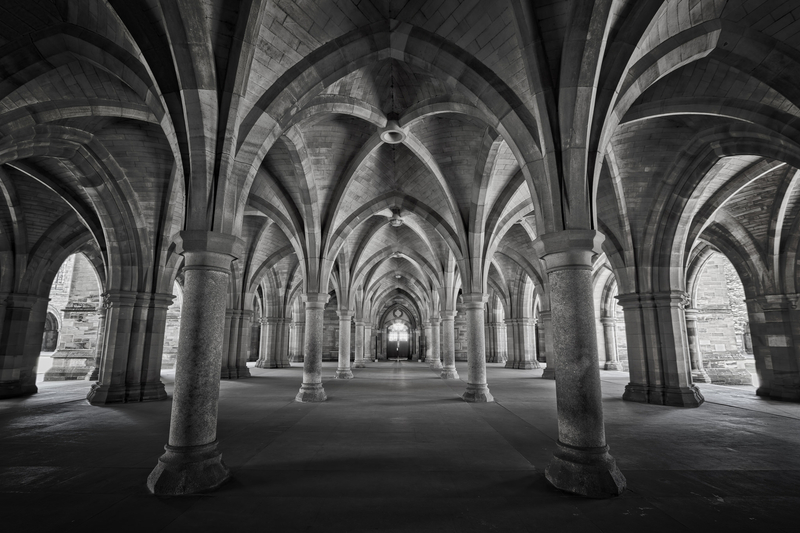 The ‘academic’ is not disembodied but the neoliberal university treats all academics as disembodied commodities to be squeezed for productivity using an audit culture that transfers a ‘faith’ in markets to a ‘faith’ in bureaucratic market-proxies. Institutionalised inequalities play a role in selecting who gets in and gets on, then the institutional political economy seeks to treat all academics as fungible means to maximise ‘productivity’ in the name of ‘excellence’, ignoring processes of internal institutional discrimination in the process. In the UK, the government runs research audits every 5-6 years, to allocate funding based on ‘outputs’ and their deemed ‘quality’. This began in 1986 and led to the Research Assessment Exercise (RAE) in 1992, which turned into the Research Excellence Framework (REF) in 2014. The outcome of this is shaping research to fit a neoliberal ‘impact agenda’. Before pursuing this though it is important note that this criticism is not meant implicitly to define pre-RAE / REF times in terms of an idealised community of scholars equivalent to what Sassower would term the ‘scientific community’. So, for example, feminists criticised the invisibility of female oppression in ‘malestream’ social science research during this period. Despite the problems, the raw numbers are idealised as pure measurements of excellence. If a department fails to perform well their fate will be sealed with the words ‘sustainable excellence’ – such departments will be subject to ‘disinvestment’, ‘going forward’. At the University of Birmingham, UK, more than 100 posts, mostly academic, in the Medical School and College of Engineering and Physical Sciences, are now formally classed as ‘at risk of redundancy’, because despite those units making money, their REF scores in REF2014 were deemed to be insufficiently excellent. That is, they did not get enough ‘4* outputs’. With REF2014 funding, 80% of the ‘QR’ (quality related) money paid to universities stems from the grading of ‘outputs’, and 20% stems from ‘impact’. Impact pertains to how many non-academics are reached or how useful research was for business or government. An ‘impact exemplar’ in history could for instance be a television programme with a recorded audience of millions. In this context some social scientists, such as Bastow, Dunleavy and Tinkler (2014), call for academics to embrace the ‘impact agenda’ and make their research in sociology or political science more ‘relevant’ to ‘business and the corporate sector’, ‘government and public policy making’, the ‘third sector’ and the ‘media’. This basically parallels Sassower’s discussion of the ‘scientific enterprise’, with social science not so much seeking direct funding from corporations but being just as intricately connected to them by freely choosing to pursue publically funded research for the benefit of private corporations, or other self interested actors. With REF2020 there may be a shift to metrics. This approach would correlate excellence with citations and journal impact factors. Here there is ‘faith’ in such factors being measurements of quality in the ‘free market’ of ideas. Such an outcome would favour certain sub-disciplines in the sciences over others and create a divide in what may be termed the behavioural sciences, where economics and psychology may fare better than sociology, because potentially they have more ‘impact’, that is, they may reach a wider audience because they can be used to address the problem of making markets more efficient, unlike sociology which may criticise markets. Here an idealised model of decontextualized excellence based on ‘faith’ in quantitative measures would reward research that was deemed to address ‘neutral’, technocratic problems, with what would be seen as more partisan research being recorded by such measures as lacking in ‘excellence’ by virtue—or maybe by ‘vice’— of being critical. Impact equates to neutral excellence, whereas critical perspectives, which will lack impact because they are critical, equate to partisan lack of excellence, with metrics. Such an environment creates the potential discussed by Lupton for the academic quantified self to build a career on impact through the use of metrics to signal to current line managers and future employers their quantified worth as a researcher. Here academics in the behavioural sciences could pursue research that was likely to have the most impact and then publish the academic ‘outputs’ in journals that would be more open to studies based on enhancing neoliberal behaviour. By contrast, developing radical / structural critiques of the widening wealth gap, the reproduction of privilege despite mass higher education, or the re-interpretation of classical thinkers as a scholarly an end in itself, would only reach ‘specialist’ audiences and lack impact. Thus, using metrics, by default it would lack ‘excellence’ and be avoided by the academic quantified self. The self of numbers would be very much embodied because it would adapt its behaviour to fit the new neoliberal impact agenda, having socialised itself into neoliberal norms and eschewed the critical perspectives stemming from different social locations. The report is overwhelmingly instrumental and designed to appeal to the ‘Treasury, ministers, MPs and policy makers’ (Foreword). Its focus on policymakers and practitioners is unremitting: ‘Advancing and applying science depends on profits, policies, markets, organisations and attitudes’ (Executive summary). The attitudes of the public, on the other hand, are presented as potential obstacles to policy objectives. For example, it argues that ‘study of public values and attitudes is vital, too, especially when innovation prompts uncertainties and concerns, as with genetically modified crops or shale gas extraction’ (page 6). And it warns that ‘without a better grasp of people, technological advances may be frustrated, or blocked, and fail to realise their potential’ (page 5). The report emphasises interdisciplinary approaches and returns frequently to this topic. In a separate comment in response to criticisms of the report, the Director of the Campaign has stated that the report does not specify particular modes of interdisciplinarity, but that they could include ‘critical sociologists working with anthropologists, philosophers working with synthetic biologists, educationalist working with neuroscientists, or historians working with political scientists.’ In nearly all instances, however, what is emphasised is links across the social sciences, natural sciences and engineering, or across bio-sciences and social sciences. Indeed, its call for a 10% increase in funding in real terms is specifically attached to interdisciplinary research in social sciences, natural sciences and engineering. Only one reference is made to the humanities, but, once again, it is the indispensability of cross-disciplinary, problem-focussed research (page 7) that is stressed, as it is in all cases. Towards the end of the report it seems to belie this dominant emphasis by defining the social sciences as ‘disciplined curiosity’, but immediately this is qualified as ‘applied curiosity’. The language of the report is a particularly narrow version of the ‘impact agenda’ where all publicly-funded research is to have users in mind, with commercial beneficiaries, policy-makers and practitioners foremost. Researchers are recommended to engage with potential users at the earliest stages of research, including that of its design and seek to maximise its subsequent impact with them. This is what makes research problem-focussed, where just what constitutes a problem should be co-defined with users. This undermines both the critical functions of research and its independence. Research councils like the ESRC are increasingly setting research priorities determined by the Department for Business, Innovation and Science that provides its block grant of funding – for example, on ‘big data’ or the application of neuroscience to social problems. This is also evident in steered calls for grant applications and also specific co-funding of projects like the ‘What Works Centres’. ‘Independence’ has become narrowed to mean simply that research bids are peer-reviewed only from the perspective of their ‘academic excellence’. However, the latter includes review of their ‘pathways to impact’ and, for ‘large grants’ and ‘centres’ bids, this will include user representatives. Where government is a user, this may involve a representative from the Department for Business, Innovation and Science on the evaluation panel, as in the case of the recent call for research on the future of higher education, among other steers. Some universities are now making ‘grant capture’ part of the contract of employment with others setting targets for individual professors or an average for the professors in a department. This has two uses for managers. First, it can be used to ‘incentivise’ academics to engage in ‘impactful’ research of ‘technocratic’ problems as defined by business of government ‘end users’, with impact equating to excellence. In other words, it would be sought as a means to enhance the ‘excellence’ of the university. Second, it can be used to ‘disinvest’ in departments or individuals if they fail to be part of teams ‘capturing’ big grants, or it could be used to ‘disinvest’ in any department that fell into disfavour, if it failed to capture sufficient impactful grants. So, there is a general culture shift underway in the social sciences. In conditions of ‘normalised neoliberalism’ (Hay 2007), neoliberalism is no longer being asserted over other ideologies but taken to be a ‘common sense’ approach that necessitates immediately obvious ‘solutions’ to pseudo-technocratic problems. Thus the problem with growth is misdefined as a problem of government debt with the solution being ‘obviously necessitated’ being that of austerity (Hay 2013). Major economists like Amartya Sen may criticise the neoliberal political economy of austerity and show it is not a technocratic but an ideological and fallacious definition of the problem, but the neoliberal consensus remains. Normalised neoliberalism is now taking root in the university, not just with managerialism, but in the mind set of increasing numbers of academics. The consequence of this is a major divergence between what is happening and what ought to happen. What ought to happen, as Sassower argues, is that neoliberal problems are shown to be flawed definitions of problems, with new theories and new definitions of problems put forward. Such an approach would counter the neoliberal attempt to privatise political and social problems by presenting them as problems of individuals’ ability to adapt their behaviour to the market. A critique of the behaviours celebrated and sought by neoliberals is needed because deregulated market competition creates polarised wealth distribution, hardship and the reduction of people and culture to commodities. What is happening is that researchers are seeing politicised definitions of problems not as stemming from neoliberalism but as ‘neutral’ technocratic problems to be solved by technocratic means, with this seeking ways to ‘incentivise’ market oriented behaviours. Material reward will follow this with impact equating to excellence in a metricised REF, whereas critical dialogue to change such definitions would mean lack of impact equating to ‘sustainable excellence’, i.e. chopping departments. In terms of a teaching audit, the Tory government is setting up a Teaching Excellence Framework (TEF) to allow universities to raise the annual fee above £9000 in line with inflation if they can demonstrate ‘excellence’ in teaching. Excellence will not be measured in terms of essays or exams but in terms of a parallel system, of which the details are unclear, that will probably eschew disciplinary knowledge for an ‘objective’ measure of ‘cognitive gain’. This may encourage ‘teaching to the test’ at the cost of disciplinary based knowledge instruction, to avoid ‘disinvestment’. Here there is ‘faith’ not just in bureaucratic proxies for markets to measure excellence, but ‘faith’ amongst increasing numbers of academics in problems being ‘technocratic’ and not open to old fashioned, partisan normative criticism and redefinition. Normalised neoliberalism has significant traction. Indeed, a number of sociology degrees ‘branded’ as ‘public sociology’ are now ‘marketed’ in the UK, with these not being the critically minded public sociology advocated by Burawoy (2005). Rather, such ‘public sociology’ is set up as a ‘vocational’ discipline, geared up to help business, government and third sector organisations, solve their ‘technocratic’ problems. Whereas the ‘scientific enterprise’ may result in data being hidden or suppressed and results fabricated, the neoliberal political economy of social science knowledge production may be said to try to modify behaviour so that the facts then fit the values. Manufacturing neoliberal minds and behaviours would mean having a world fit the ‘neutral’ definition of problems. In such a situation, Popper’s prediction would be falsified, because neoliberal ‘optimism’ would not lead to pessimism, given that its definition of problems would be accepted as common sense and not open to dialogue; unless enough critical momentum can be built to remove normalised neoliberalism. Popper would be right though to consider this debate stopping approach to be unethical. The task for any new approach to political economy then is a difficult one, for academics in neoliberal sites of knowledge production will have not only to argue against neoliberalism in books and articles but also to engage in some form of political struggle too. There is not the space to enter into a debate of theology but we can quickly note that naïve ‘faith’ in science, ‘faith’ in markets and ‘faith’ in pseudo-technocratic / objective definitions of problems and excellence are not really faith at all. Fundamentalism is opposed to religious tradition because it seeks to make everything immediately known with certainty – it seeks to make the world ‘legible’ in the same way as the bureaucratic ‘utopian’ blueprints of ‘high modernist’ development discussed by Scott (Madan 2013; Scott 1999, Williams 1988, 2012). There is no room for faith here. By contrast, some theologians like the former Archbishop of Canterbury, Rowan Williams (1988, 2012), hold that faith motivates a slow understanding of our finitude and need constantly to overcome a gap between our knowledge and being that unfolds before us. Williams also regards instrumentalism as a destructive force, removing meaning from education and politics. For Williams, this means that faith is required to motivate public / political dialogues based on creativity and imagination, to counter the rise of instrumentalism, which reduces everything to a means for profit enhancement. This is not to say dialogue needs religious faith but it is to say ‘faith’ in instrumentalism and legibility is dogmatic, debate stopping, unethical in Popper’s sense and unethical in terms of harming education and the need to redefine social and political problems as such rather than redefine them as problems of individuals’ ability to adapt their behaviour to markets. In a situation where as many agents as possible are needed to criticise neoliberalism, seeking links between academics and those theologians opposed to ‘free markets’ and instrumentalism more generally, as well as to activist groups involved in campaigns against austerity, may help build an alliance to change the normalisation of neoliberalism. If Jeremy Corbyn, who stands for social democratic values, is elected as the new leader of the Labour Party then there may even be some professional politicians challenging normalised neoliberalism and austerity too. Problems need to be redefined to turn the business of people into the problems of the public. That means not only engaging in critical dialogue with normalised neoliberalism to replace its misdefinition of problems but also challenging the neoliberal university. In this, the study of sociology and politics of knowledge production is vital so as to seek better definitions of problems in a non-neoliberal political economy, by first getting a clear definition of the problem facing the attempt by academics to redefine the pseudo-technocratic problems posited by normalised neoliberalism in universities. Baslow, Simon, Patrick Dunleavy and Jane Tinker. The Impact Agenda: How Academics and their Research can make a Difference. London: Sage, 2014. Becker, Howard, S. ‘Whose Side are we on?,’ Social Problems 14, No. 3 (1967): 239-247. Bhambra, Gurminder. ‘Committing Sociology: Defending the Public University,’ Thesociologicalreview.com (2015). http://bit.ly/1HL34C5. Bloor, David. Knowledge and Social Imagery 2nd edition. London: Chicago University Press, 1991. Burawoy, Michael. ‘For Public Sociology,’ American Sociological Review, 70 (2005): 2-28. Cassidy, John. How Markets Fail: The Logic of Economic Calamities. New York: Farrar, Straus and Giroux, 2015. Else, Holly. ‘Gender Bias “Rife” in History Departments, says Report,’ Times Higher Education (March 2015). http://bit.ly/1Erp5pE. Hay, Colin. Why we Hate Politics. Cambridge: Polity, 2007. Hay, Colin. The Failure of the Anglo-Liberal Growth Model. Houndmills: Palgrave, 2013. Harding, Sandra. ‘After The Neutrality Ideal: Science, Politics and the “Strong Objectivity”,’ Social Research 59, No 3 (1992a): 567-587. Harding, Sandra. ‘After Eurocentrism: Challenges for the Philosophy of Science.’ PSA: Proceedings of the Biennial Meeting of the Philosophy of Science Association, Volume Two: Symposia and Invited Papers, 311-319. The University of Chicago Press on behalf of the Philosophy of Science Association, 1992(b). Holmwood, John. ‘Social Science Inc,’ Open Democracy (2015). http://bit.ly/19f718y. Jump, Paul. ‘Birmingham Academics set to Strike over Grant Income Demands,’ Times Higher Education (July 2015). http://bit.ly/1JgKut9. Lupton, Deborah. ‘The Academic Quantified Self,’ This Sociological Life (October 2013). http://bit.ly/1MnMxKQ. Madan, Triloki N. ‘Secularism in its Place.’ In Secularism and its Critics, edited by Rajeev Bhargava, 297-320. Oxford: Oxford University Press, 2013. Merton, Robert K. The Sociology of Science. London: University of Chicago Press, 1973. Popper, Karl R. Conjectures and Refutations: The Growth of Scientific Knowledge. London: Routledge, 1963. Popper, Karl R. The Open Society and its Enemies. London: Routledge, 2002(a). Popper, Karl R. The Poverty of Historicism. London: Routledge, 2002(b). Readings, Bill. The University in Ruins. London: Harvard University Press, 1996. Rorty, Richard. Truth and Progress: Philosophical Papers Vol. 3. Cambridge: Cambridge University Press, 1998. Sassower, Raphael. ‘Beyond Hubris: Desiderata of the Future of Political Economy,’ Social Epistemology Review and Reply Collective 4, No. 7 (2015a): 28-50. Sassower, Raphael. Compromising the ideals of Science. Houndmills: Palgrave, 2015(b). Sayer, Derek. ‘One Scholar’s Crusade against the REF,’ Times Higher Education (December 2014). http://bit.ly/1NunFQg. Sayer, Derek. Rank Hypocrisies: The Insult of the REF. London: Sage, 2015. Scott, James C. Seeing like a State: How Certain Schemes to Improve the Human Condition have Failed. London: Yale University Press, 1999. Sen, Amartya. ‘The Economic Consequences of Austerity,’ Charleston Festival Lecture republished in the New Statesman (June 2015). http://bit.ly/1czZ8fC. Shapin, Steven. A Social History of Truth: Civility and Science in Seventeenth Century England. London: University of Chicago Press, 1994. Tickle, Louise. ‘Gender Equality in Higher Education must be made a Higher Priority,’ Times Higher Education (March 2013). http://bit.ly/1MnMOgT. Williams, Rowan. ‘The suspicion of suspicion: Wittgenstein and Bonhoeffer.’ In The Grammar of the Heart: New essays on Moral Philosophy and Theology, edited by Richard H. Bell, 36-53. London: Harper and Row, 1988. Williams, Rowan. Faith in the Public Square. London: Bloomsbury, 2012. Sassower, Raphael. “Appealing to Academics to Become Public Intellectuals: A Reply to Justin Cruickshank and Ioana Cerasella Chis.” Social Epistemology Review and Reply Collective 3, no. 11 (2014): 42-45. Chis, Ioana Cerasella and Justin Cruickshank. “The Cost of Public Intellectuals: Reflections On Raphael Sassower’s Call for Intellectuals To Influence Elites and Their Publics.” Social Epistemology Review and Reply Collective 4, no. 1 (2014): 16-26. Sassower, Raphael. “Radical Public Intellectuals.” Social Epistemology Review and Reply Collective 4, no. 1 (2014): 57-63. Cruickshank, Justin and Ioana Cerasella Chis. “Big Data, TTIP and the Hubris of Techno-Capitalism.” Social Epistemology Review and Reply Collective 4, no. 3 (2015): 45-55. Sassower, Raphael. “Beyond Hubris: Desiderata of the Future of Political Economy.” Social Epistemology Review and Reply Collective 4, no. 7 (2015): 38-50. Do you have any thoughts/ideas about how such a challenge to the neoliberal university could/should manifest? Ie, you’ve spelled out the problem very nicely but the trouble seems to be how we’re supposed to get out of this mess? Here in the UK it seems like one political party may gain a social democratic leader and maybe ….. Perhaps more importantly protest has to come from academics. I guess that would mean at the very least people joining their union and pushing for that to fight management. Part of that would have to be addressing the problem of causalisation. So often many academics ignored this so it is good to see the union in the UK at least now start to treat this as a real issue. I think it would also help if academics got involved in outside political groups but I guess only a few would do that.